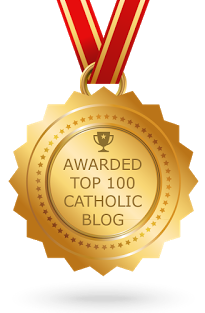 phat catholic apologetics: Debate with "Russell" on Calling Priests "Father"
Debate with "Russell" on Calling Priests "Father"
Someone named "Russell" who is the author of the "Answering Catholic Claims" blog recently left a comment on my post about Mt 23:8-10 and calling priests "father". Here is his comment and my response. His words will be indented and italicized. I agree with a lot of things you said, but I still don’t agree with your final conclusion. Now, there is nothing wrong with calling a human “a” spiritual father / teacher / rabbi, etc., but to call them “Father,” “Teacher,” or “Rabbi” directly as a spiritual title is wrong (and this would include the use of the Protestant title “Reverend,” as well). These are forbidden as formal religious TITLES OF HONOR. If all Christians are “brothers” in Christ (Matthew 23:8), then there should be no elevated religious titles among Christians. Matthew 23 is not against “biological,” “spiritual,” or “ancestral” fathers, since they are recognized as legitimate roles elsewhere in Scripture. And since Jesus does not condemn the role of pastor, you could refer to a man as “a pastor” or “the pastor,” but the term should not be used as a formal, personal, spiritual title. Although we all have different functions in the church, where some are certainly (and rightfully) leaders, Jesus clearly forbids the self-exalting titles that men often want to use. By the way, there is no reason to believe that Jesus was using hyperbole here, in view of the context. For example, He wasn’t exaggerating when He said, “You are all brothers”, and He wasn’t exaggerating when he described the antics of the scribes and Pharisees. Jesus even told a parable where servants refer to their owner as "Master" (cf. Mt 25:14-30). What we see from all of this is that there is nothing wrong with using titles to refer to a person's position among the people. Jesus' issue was with people who seek certain positions because of the title that it affords them, or who do not live up to the title that they have received. That interpretation is really the only way to reconcile Mt 23 with the biblical data. Otherwise, you would have to accuse Samuel (the author of 1 Sam 1-25), Nathan and Gad (the authors of 2 Sam; cf. 1 Chron 29:29-30), Jeremiah (the author of 1 Kings), Mark, Paul, and the disciples of John the Baptist with all doing something that displeases God. PS: From here you may proceed to Part Two.